The Church of Jesus Christ of Latter-day Saints this week announced that, starting on Jan. 1, 2020, it will shift the focus of its youth programs toward serving an increasingly global membership. That means the LDS church will no longer charter Scout units beginning in 2020 and beyond. Many Scouters have been wondering what this news means for the BSA. Will this affect our movement, and if so, to what degree? And what are the next steps for the thousands of LDS families who love being a part of the Scouting adventure and want to continue their journey? Throughout the BSA’s relationship with the LDS church, LDS Scouts have benefited from the BSA’s life-changing programs. Hundreds of thousands of LDS young men have become Eagle Scouts. In 2017, 425,000 LDS youth were part of the Cub Scouts and Boy Scouts programs. That’s about 18.5 percent of the BSA’s total youth membership. While most councils have some LDS membership, roughly 10 percent of councils have a significant population of LDS members. These councils may be affected more significantly by the LDS church’s decision. The BSA has begun working with all of its councils to help ensure a smooth transition for the many LDS families who will continue their Scouting journey. 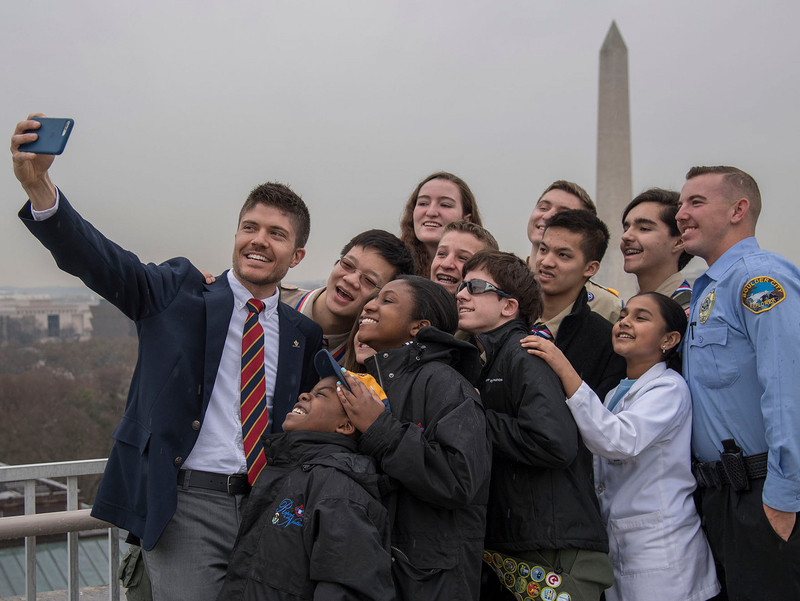 The long-standing relationship between the BSA and the LDS church won’t continue in a formal capacity, but it certainly will live on in LDS families where Scouting has become a strong and vibrant tradition. Some LDS families have a multigenerational Scouting tradition. Others share a newly discovered passion for Scouting. All who want to continue their Scouting journey are more than welcome to do so. The LDS church has said it will “remain a fully engaged partner in Scouting” through Dec. 31, 2019. “All youth, families and leaders are encouraged to continue their active participation and financial support of Scouting … ,” the LDS church said in its joint statement with the BSA. That gives LDS families more than 18 months to chart a course for continuing down Scouting’s path in 2020 and beyond. The BSA and its local councils will ensure a smooth transition to community-sponsored units that will welcome youth previously served by LDS-sponsored units. That means young people who have begun the path toward the Eagle Scout Award can continue working toward that momentous achievement. The LDS church, in its joint statement with the BSA, expressed that it will continue to support Scouting even after its official partnership has ended. “While the church will no longer be a chartered partner of BSA or sponsor Scouting units after Dec. 31, 2019, it continues to support the goals and values reflected in the Scout Oath and Scout Law and expresses its profound desire for Scouting’s continuing and growing success in the years ahead,” according to the statement. Through the evolution of its relationship with the LDS church and beyond, the BSA is well positioned to provide its character- and leadership-building programs to an increasing number of youth. Packs and troops will soon open their doors to girls as well as boys, meaning the BSA is poised for growth in the coming years. The BSA is about serving families and strengthening character. That was true when I joined as a 6-year-old Tiger, and it’s true now. Our movement offers families more options than ever before, and that’s good news for the future.